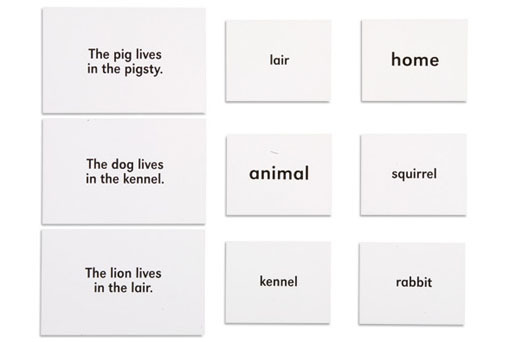 Animals and their homes: 82 cards naming 41 different wild and domestic animals and their homes with 41 control cards. 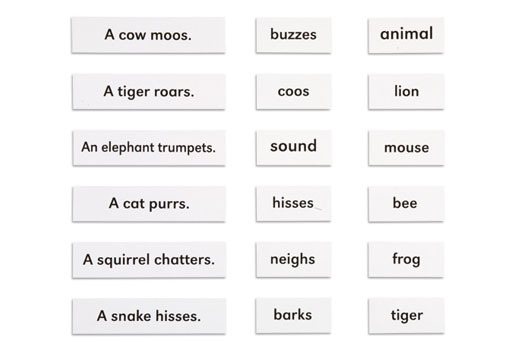 Animals and their sounds: 80 cards naming 22 domestic and 18 wild animals and their sounds with 40 control cards. 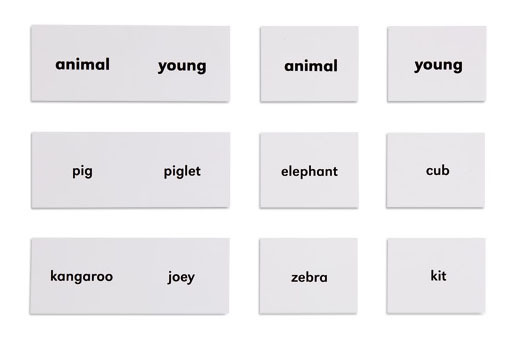 Animals and their young: 29 wild and domestic animals, 58 cards naming animal and young with 29 control cards. 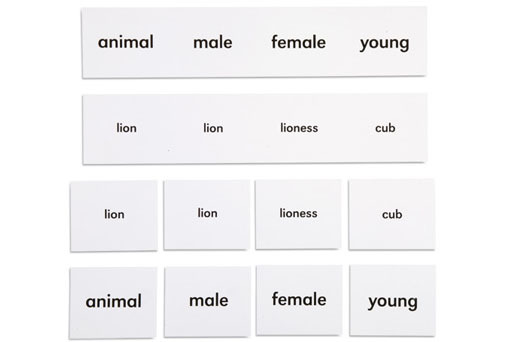 Animal names: 27 wild and domestic animal names, 112 cards naming male, female and young with 27 control cards. 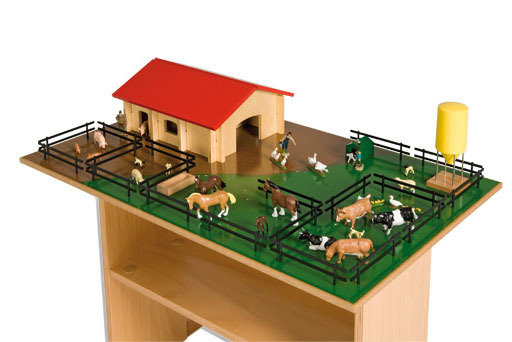 Animals and their groups: 38 wild and domestic animals, 76 cards naming animal and group, 38 control cards. 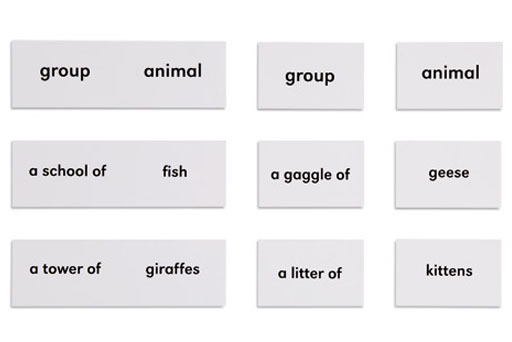 All of the above come printed on white card with title cards included.